Today is just a happy day. Could be all the coffee I'm hopped up on. So I've been working like a mad woman all last week and yesterday to try to build up inventory for it. 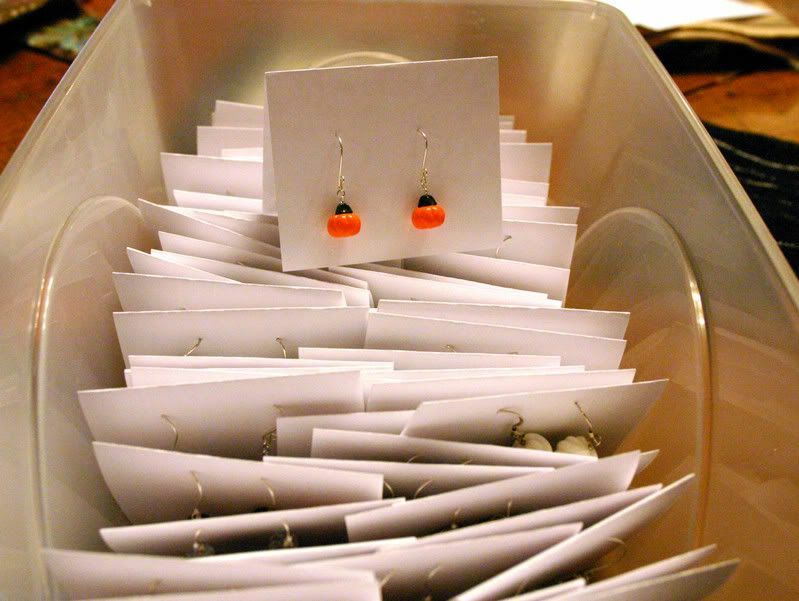 Yesterday I got over 30 pieces of jewelry made, which is a lot in one day for me! The Baby put a pickle in his cereal and loved it. "Mmmmmm" he said. That cracked me up! 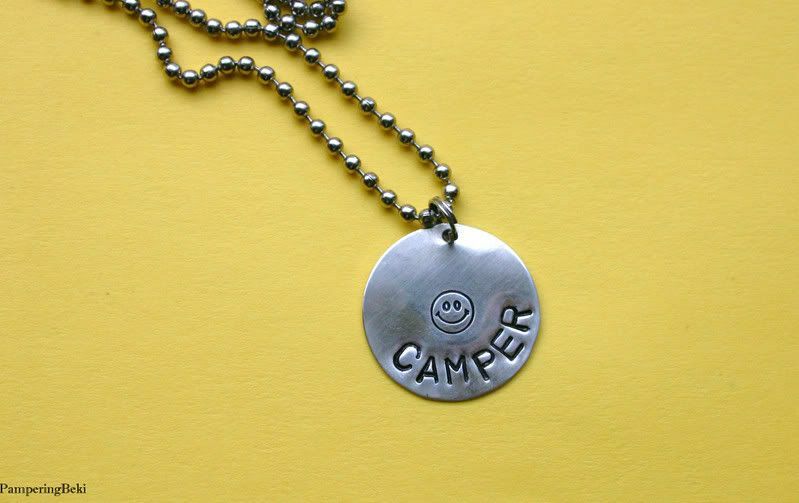 I had a request this morning from an upscale boutique in California to carry my Happy Camper necklace. I don't know yet if it will all pan out, but it's nice to even be asked! And remember Shea, the little model who sported my hair flower in the Pediped Ad? Well now she'll be sporting it (or something of mine) on an episode of Law and Order Criminal Intent! Too cool. The episode is loosely based after the Madeline McGann story. Yep, I'm happy today despite the rain and wind outside. This is all so great~! The productivity, the sale, the boutique, the pickle.. I am darn sure it's a bit contagious, too. pickle cereal... perhaps you should consider a patent? lol! Very cool. Sounds like you have been busy! Wow...I say you were very busy!! I love the happy camper necklace. And would you mind letting us in on exactly what kind of coffee that is you're drinking? 'Cause I am never that productive in one day! Decaf, caf, or jet fuel? go you!!! i wish i could be that productive!!! WOW! Congratulations on so many good things happening all at once. 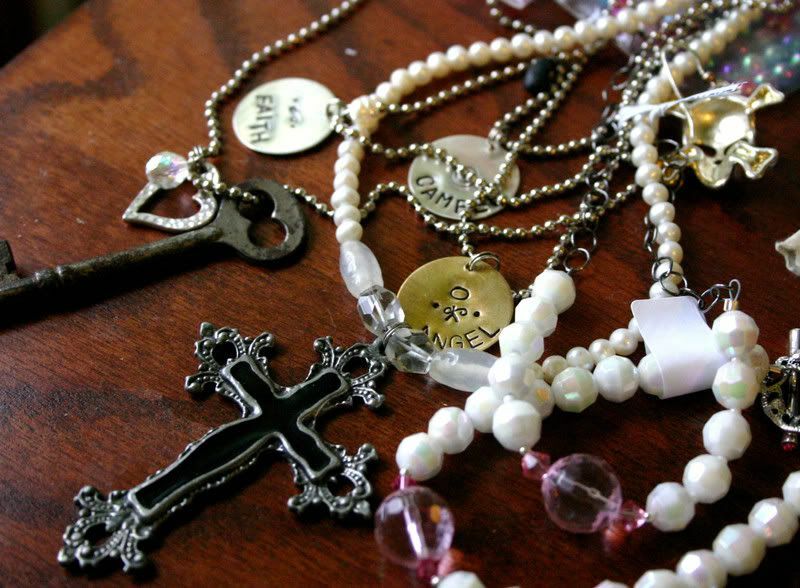 =) The new jewelry looks beautiful. You should do really well at the BIG sale. I love LoVe LOVE the happy camper necklace!!! congrats! Your work is always super cute! My little one was dipping his chicken nuggets in applesauce like it was the yummiest thing in the world. pretty cool that one of your items will be televised! now i'll have to watch it just to see. then i can say, "i know the blog and etsy page of the person who made that____!" fame by association, ha ha! Glad things are going so well for you! Good Luck with that show.